Plenty of actors who are typically associated with movies have flocked to TV of late, and Gone Girl actor Patrick Fugit is apparently no exception. The man has signed on with Cinemax to star in a pilot for the subscription cable channel that is based on a comic written by The Walking Dead’s Robert Kirkman and artist Paul Azaceta’ called Outcast. Not to be confused with subscription cable’s Outlander, Outcast will follow a man named Kyle Barnes, who has constant connections to demons and demonic possessions. The comic first hit shelves just a few months ago, but Cinemax nabbed the rights quickly, signing on for a pilot in July. Now they’ve got a director and much of the cast locked in. Fugit will star as the lead, Barnes, a man who has dealt with being possessed since childhood. He’s not content with his lot in life, however. According to Deadline, he’ll come across some sort of hot fact that could “end all life on Earth.” Sounds like some pretty heavy stuff. Hopefully he won’t have to tackle these things alone. 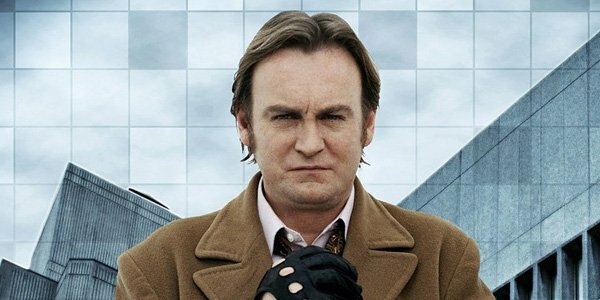 Also starring in the pilot is Philip Glenister, who has appeared in the U.K. version of Life on Mars. Remember this guy? Maybe not if you live in the States. In any event, he’ll play a priest who is super into drinking, gambling and fighting evil. Sounds like a fun role to play. Finally, the show has cast Gabriel Bateman, a kid who has popped up in Annabelle and Stalker to play a possessed child who will somehow connect with Kyle. Since it is a newer premise, Outcast is not as widely known as Kirkman’s other series, The Walking Dead, but the first issue sold out in numerous stores and has done well since then. The source material is clearly popular, and if Outcast can rope in the fans, it could be the type of project that could really make Cinemax a player in the subscription cable realm (sorry Banshee). At least, that’s got to be what Cinemax is hoping. Adam Wingard will shoot the horror pilot, and Kirkman will executive produce, alongside Chris Black, David Alpert, Sharon Tal Yguado and Sue Naegle. Obviously, we’re most excited to see what Fugit will do with the lead. The actor’s clearly talented, was great in Gone Girl and really hasn’t had a chance to flex his leading man muscles in a ton of roles. Here’s to hoping Outcast will be the perfect vehicle for him, and will move forward to series without a hitch.